Agriculture is entirely dependent on the weather. Droughts, freezes, floods, hail: all are threats to crops and livestock, and all directly affect the fortunes of farmers and ranchers. 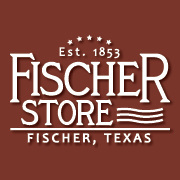 Since those farmers and ranchers comprised most of the store’s customers, weather was always important to the Fischers as well! on the blackboard in the store. These unofficial observations would have been as much of a social topic as scientific data. 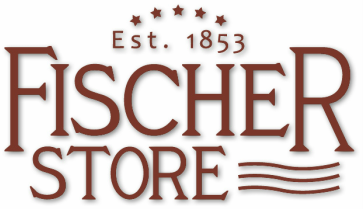 One current member of the Fischer family remembers how local ranchers would gather at the store after a storm and compare to see who got the most rain. 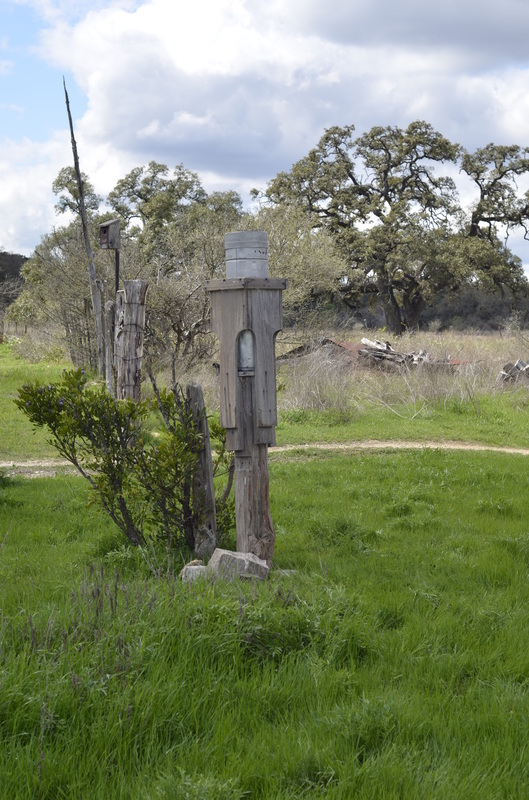 Eddie’s rain gauge and custom stand. In 1939, Willie Fischer began keeping daily records as a volunteer weather observer, part of the US Weather Bureau’s Cooperative Observer Program. He served as an observer until he was 84 years old, when his nephew Eddie Fischer took over in 1952. Eddie served as observer until December 1976. In 1977, he received the Thomas Jefferson Award, the highest honor a Cooperative Observer can receive. He was one of only seven people nationwide who were so honored that year. To qualify, recipients must have already received a John Campanius Holm Award for at least five years, and have a minimum of 25 years of service. 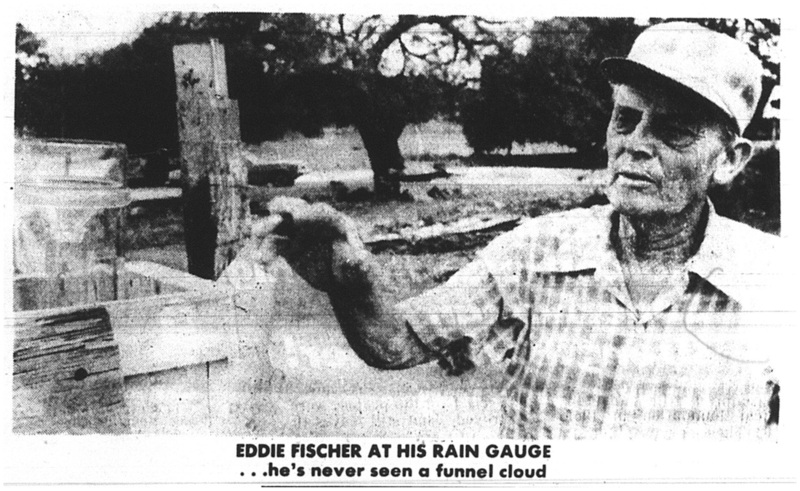 Eddie had 38 years of service as a NWS Cooperative Observer. Charlene accepting a weather service award in front of the store. of family service as Cooperative Observers; in 2009, she received the Ruby Stufft Award for 70 years of family service; and in 2011, she received a John Campanius Holm Award for her personal achievement of 35 years of service. 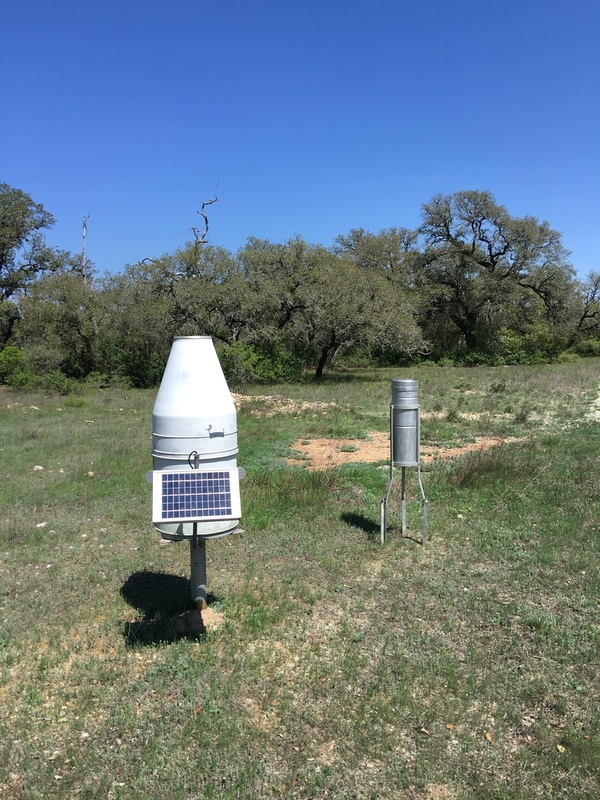 In October 2015, Charlene’s sister Sandra Zlatkovich took over the weather observer duties, and continues to the present day with the gauges now located on her property. Modern equipment currently used for recording observations.